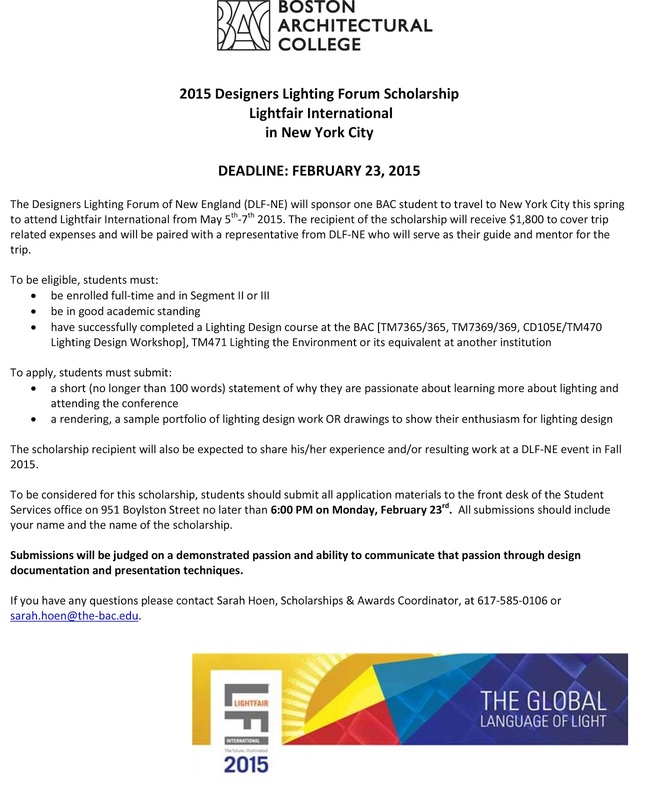 The Designers Lighting Forum of New England (DLF-NE) will sponsor one BAC student to travel to New York City this spring to attend Lightfair International from May 5th-7th 2015. The recipient of the scholarship will receive $1,800 to cover trip related expenses and will be paired with a representative from DLF-NE who will serve as their guide and mentor for the trip. For more information and the scholarship application, click the image above.